Hello everybody, thanks for stopping by! As this year is now drawing to a close I am recapping some of my recent projects accomplished this year. 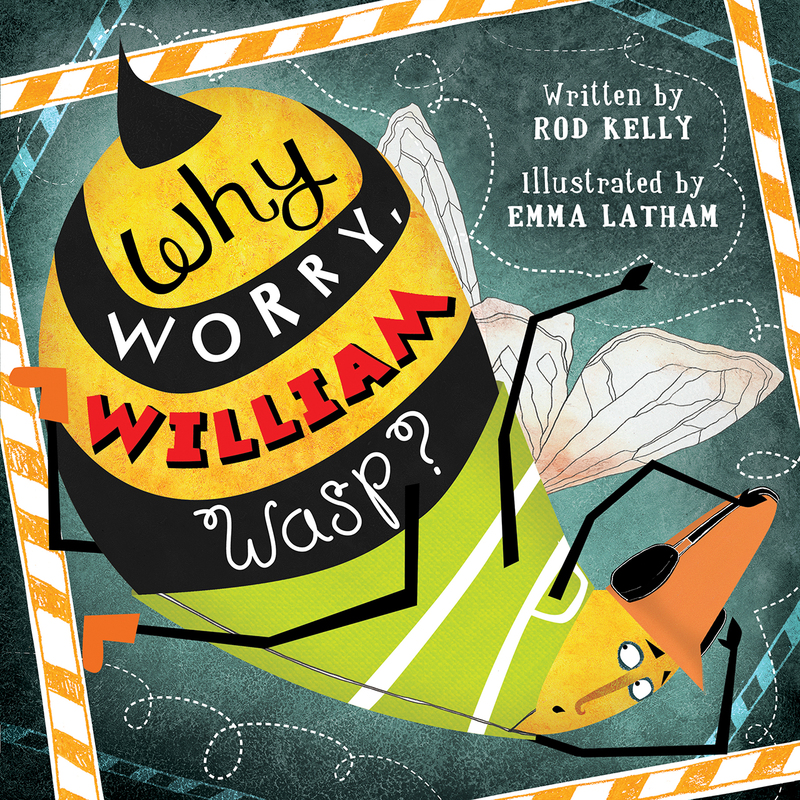 I illustrated a children’s book that was published in February this year under Black Rose Writing called Why worry, William Wasp. 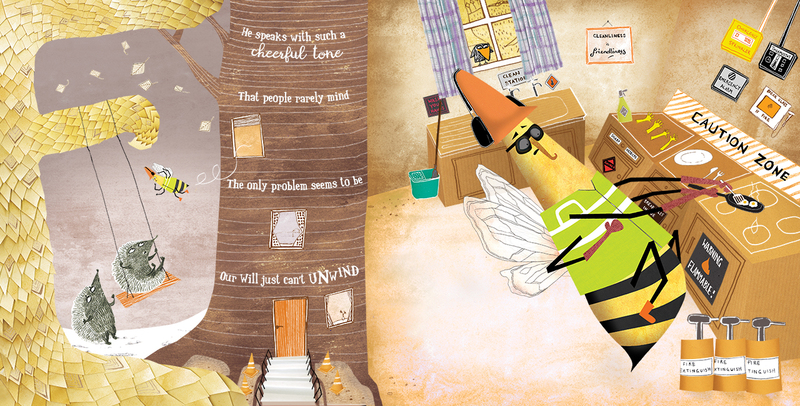 The author, Rod Kelly is a wonderful children’s book writer with a vast array of titles, all of which share important messages with wonderfully adorable characters and are told with a strong humerous palette that both children and parents love! 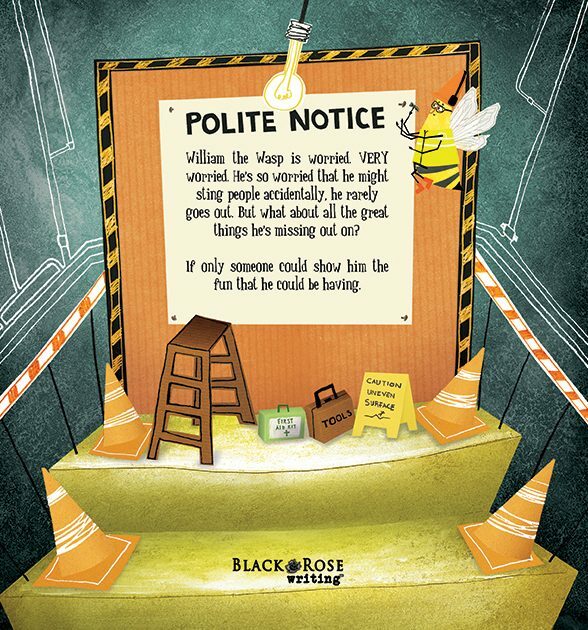 Why worry, William Wasp is a delightful story about an overly cautious health and safety inspector who takes extra measures to ensure everyone in his town of Kilkirk are all safe. He also happens to be a wasp, and as such has a sting which he is so afraid might hurt somebody that he is scared of venturing out of the house. I had a lot of fun designing William Wasp and his over the top health and safety uniform. He wears a safety hat and flourescent jacket at all times, even in the home and while cooking, infact, additionally he wears thick safety specs and oven gloves – you know – just in case! I made his little kitchen have hazard signs everywhere and all sharp objects are labelled as such. One of my favourite pages to illustrate was him driving his car. 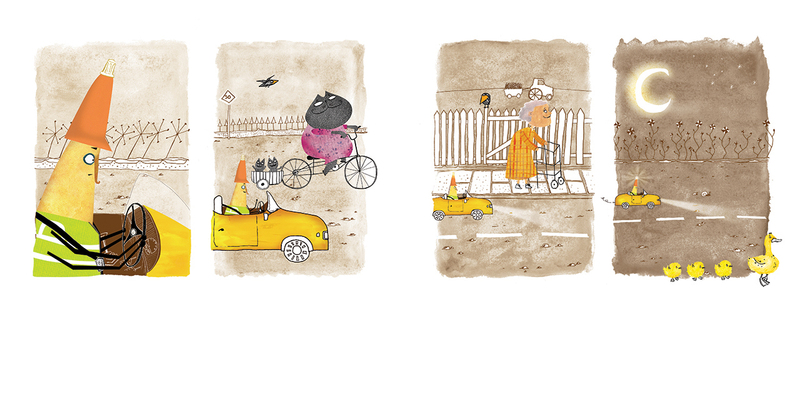 I enjoyed adding in surrounding details and with each frame I gradually zoomed out revealing characters such as an old lady and snails overtaking him.